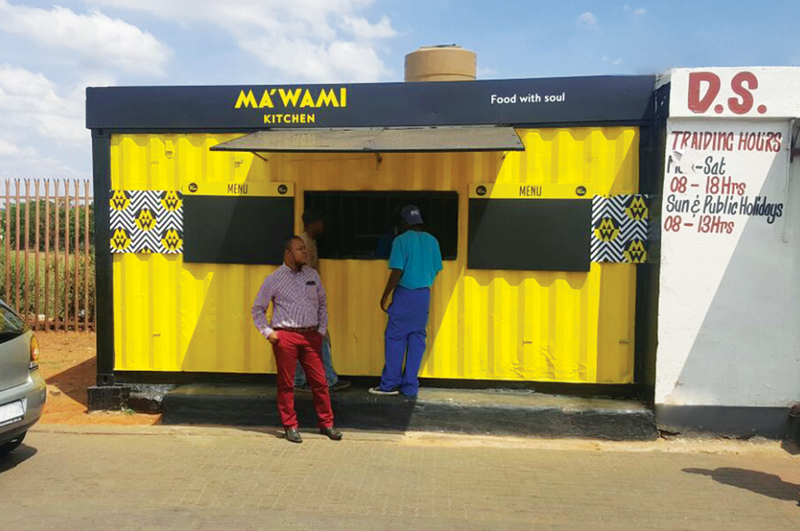 “Ma’Wami which means “Mom’s Kitchen”, is a take-away franchise that specialises in chicken. 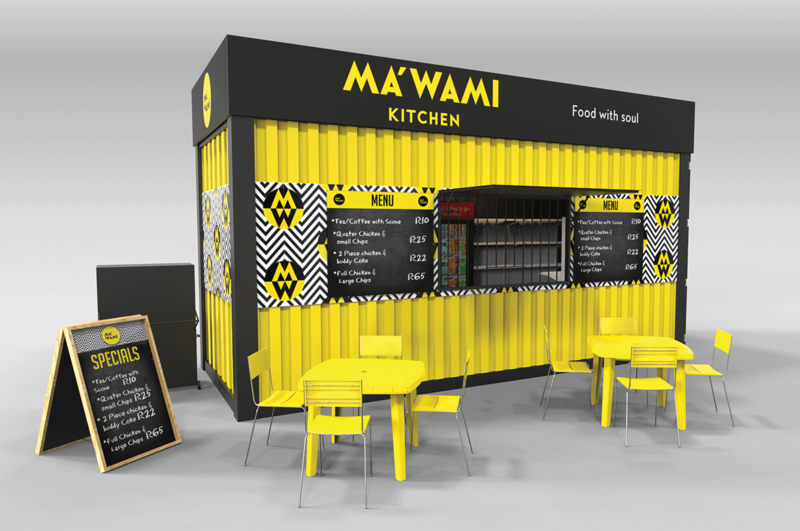 These take-away businesses will predominately be run out of containers, but will later also look at full sit-down offerings too. 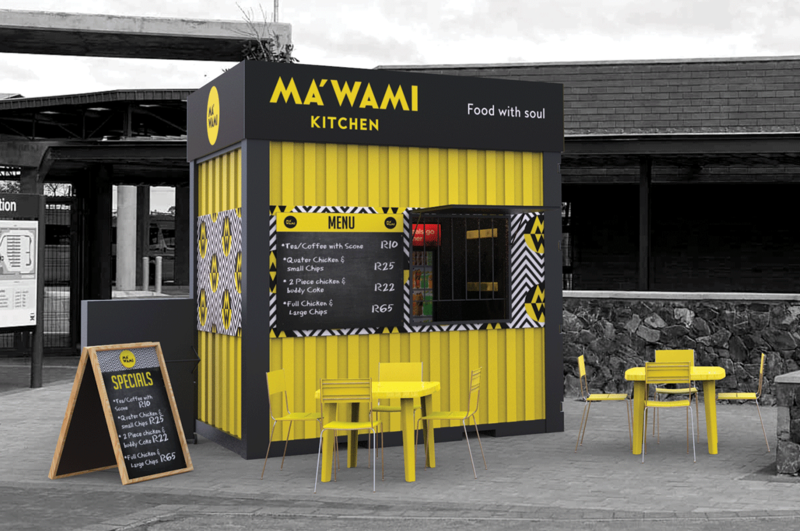 Project Room was tasked with developing the Corporate Identity of Ma’Wami. 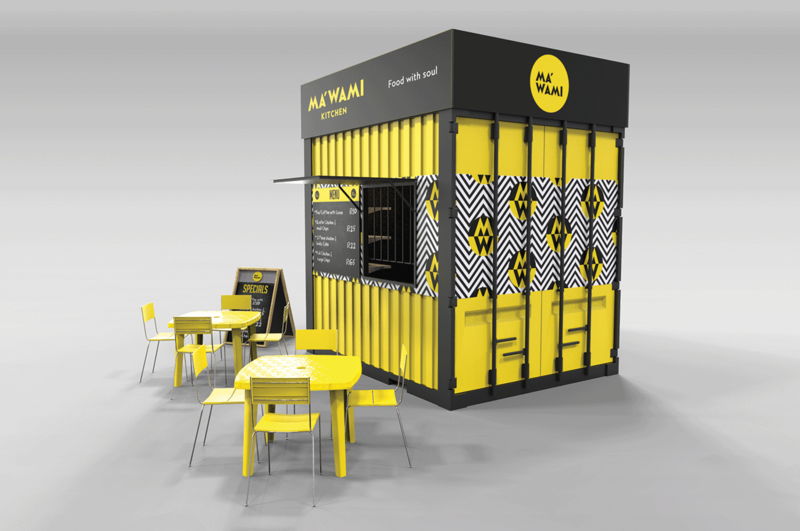 We have not only developed the CI, but have also helped with the design and execution of the exterior and interiors of these stores.